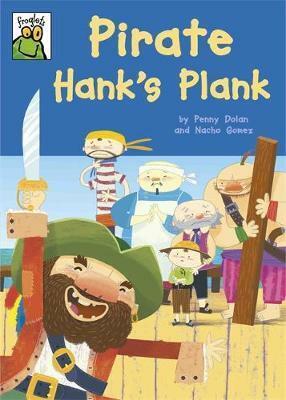 Pirate Hank's Plank is an exciting story for all pirate fans who are beginning to read independently. Pirate Hank tells everyone to walk the plank. Joe wants to go first, and he has a great idea. The pirates have never had so much fun! The Froglets series is perfect for children aged 5-7 who are reading on their own, with fun stories of no more than 200 words.